Thoughts and prayers from across the Garver footprint are focused on Houston, Texas and surrounding areas this week. Hurricane Harvey has driven citizens from their homes, schools, and places of work, and everyone affected faces a long road to recovery. 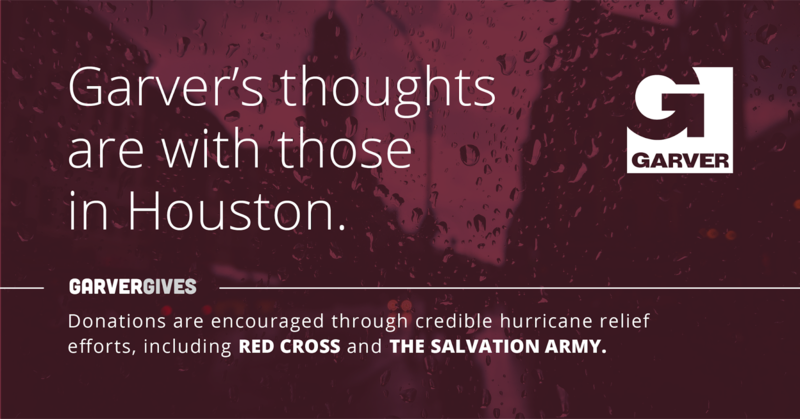 In assistance with that relief effort, employees of Garver, which has a Houston office along with eight others in Texas, and its corporate giving arm, GarverGives, will be making donations to credible hurricane relief efforts, including the Red Cross and the Salvation Army. 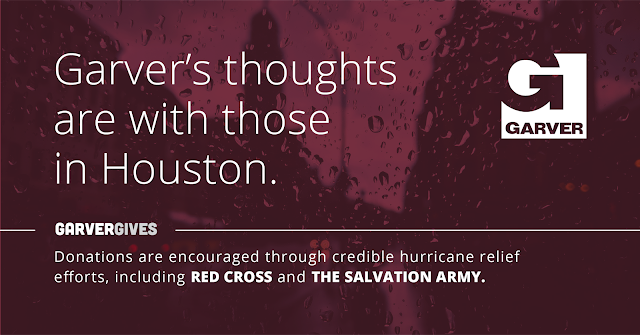 Garver encourages all to contribute what is available to those outlets and others, by visiting redcross.org and helpsalvationarmy.org. Learn more about GarverGives by visiting GarverUSA.com/GarverGives.